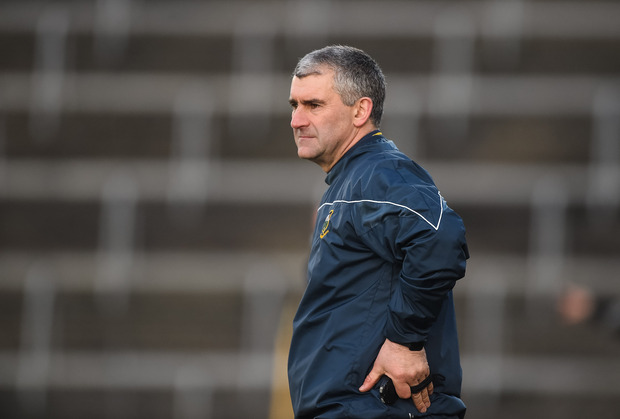 Irish Independent chief sports writer Vincent Hogan thinks that Tipperary manager Liam Sheedy has a big job on his hands to get the Premier county ready for their Munster championship opener after a shock league quarter-final defeat to Dublin. Mattie Kenny's men secured a well-deserved victory at Semple Stadium last weekend, which ended Tipperary's league interest after reaching the final in the previous two seasons. Sheedy's second spell on the Tipp sideline has got off to an inconsistent start, with wins over Clare and Cork in the league bookending a campaign that saw defeats against Kilkenny, Wexford and Limerick. Speaking on The Throw-In, Independent.ie's GAA podcast in association with Allianz, Hogan says that Tipperary 'flattered to deceive' during their league campaign. "Liam Sheedy said after Saturday night's game that the league has been very good to Tipp and I can only assume that it has been very good in the sense of pointing out a lot that has to be adjusted," Hogan said. "They flattered to deceive in this league. They beat Clare the first day but Tony Kelly got sent off, and everyone assumed that Sheedy had Tipp flying again. And then nothing. Absolutely nothing." Sheedy now has eight weeks to prepare his team for their opening game of the Munster championship away to Cork, with Tipperary looking for a big improvement on their 2018 performance, when they exited at the round robin stage having failed to win a single game. However, Hogan thinks that there are still huge questions marks around a number of different areas of the team that Sheedy must answer before the championship. "I'd be hugely worried," Hogan said. "I don't know who the goalkeeper is going to be. He has played James Barry at fullback all throughout this league. James Barry's confidence has been shattered the last couple of years. I don't know if he is now going to be on the edge of the square. There is so much about Tipp that I don't know. I think Liam said at the start of this league that he wanted to know 12 or 13 of his starting players. "They play Cork on May 12 and I couldn't name, with any conviction, more than nine of the starting team right now and that's not where he needs to be. "As a Tipp man, I'd be very worried about where they are."